Bzzagent has a new campaign for Canadian members! 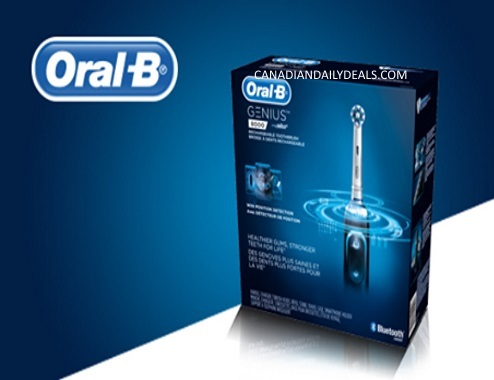 Select members will be sent a Free Oral B Genius 8000 electric rechargeable toothbrush for review! The Bzz Kit includes: One Free Electric Rechargeable Toothbrush handle with charger, 3 brush heads, refill stand, travel case and smart phone holder. Check your emails and log into your account to see if you were chosen for this one! It sounds like an amazing campaign! Click here to check out Bzzagent. Ever since I realised the significance of oral hygienic, I started using the best electric toothbrush that cleans my tooth and gums perfectly, and frees them from germs.